Have you ever gone down rabbit holes on the web, where you start reading one article, then click an embedded link that seems intriguing, and then do it again in the next article? The next thing you realize is that three hours have passed, you missed a phone call with a colleague, and worst, you missed your regular infusion of Diet Coke (OK, maybe that last part is just me). I have Glassdoor to thank for my latest trip down the rabbit hole through the innocent entry point of their list of the 25 highest paying companies in America. Unsurprisingly, all 25 spots are held by consulting and high-tech firms. It’s that second link that proved my undoing. As a passionate believer in the importance of core-values-driven cultures, especially those reinforced through recognition, I had to click. Glassdoor then dug further into the findings to find out, if money isn’t the main driver of employee satisfaction, then what is? They went back to their employer review survey (another link!) to add controls for employee ratings on business outlook, career opportunities, culture and values, compensation and benefits, senior leadership and work-life balance. Why did this fascinate me so greatly? Culture matters. And every employee in your organization owns, influences and benefits from the culture – whether it’s the culture you want or the one allowed to “just happen.” And let’s not ignore the statement in the original quotation above about the importance of trust in senior leaders. Don’t forget the findings from the latest WorkHuman Research Institute employee survey showing the dramatic impact of recognition on trust for leaders. 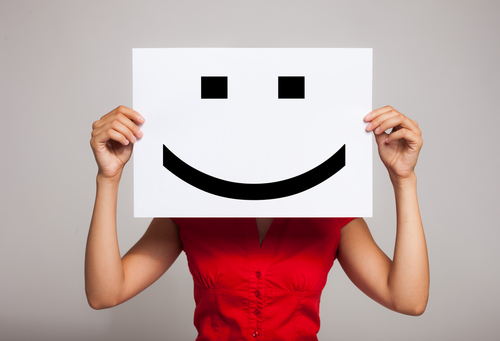 What most drives your satisfaction and engagement in your work? This was originally published on the Recognize This! blog. A cheerleader for the power of recognition and appreciation, Traci Pesch is known for her deep partnerships with customers to help them attain their goals through social recognition. As a principal recognition strategist and consultant for Globoforce (www.globoforce.com) Traci is a founding member of the company’s strategy and consulting team and is always innovating new ways to create cultures of recognition. Contact her at traci.pesch@globoforce.com.